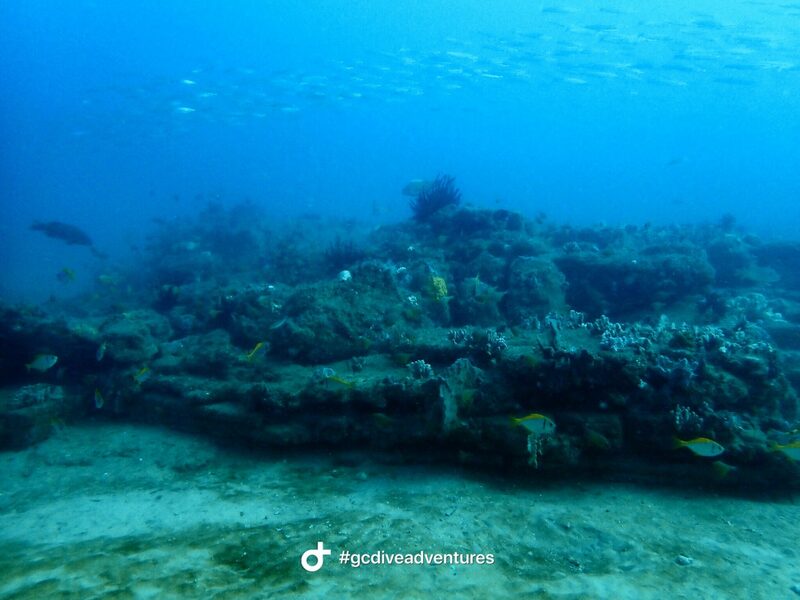 The Gold Coast is home to several natural offshore diving reefs. 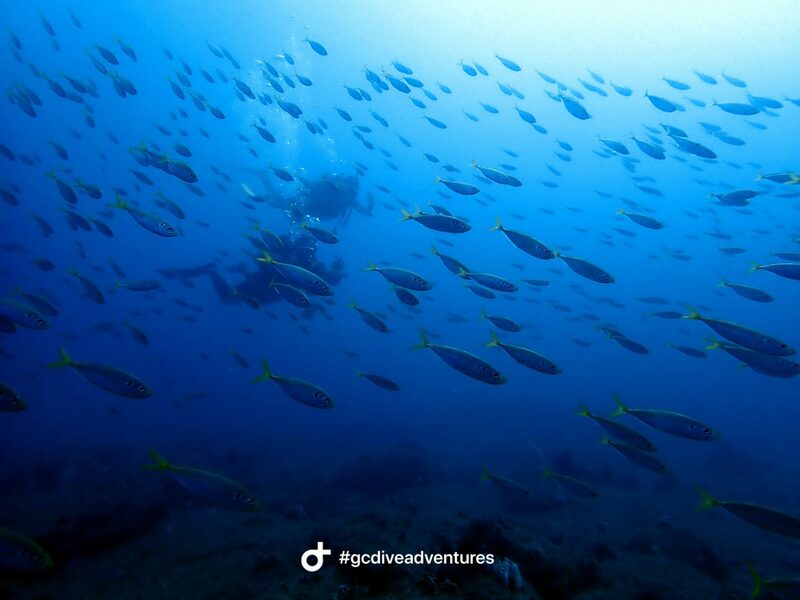 Most of them are known as fishing grounds but unexplored from a diving point of view. 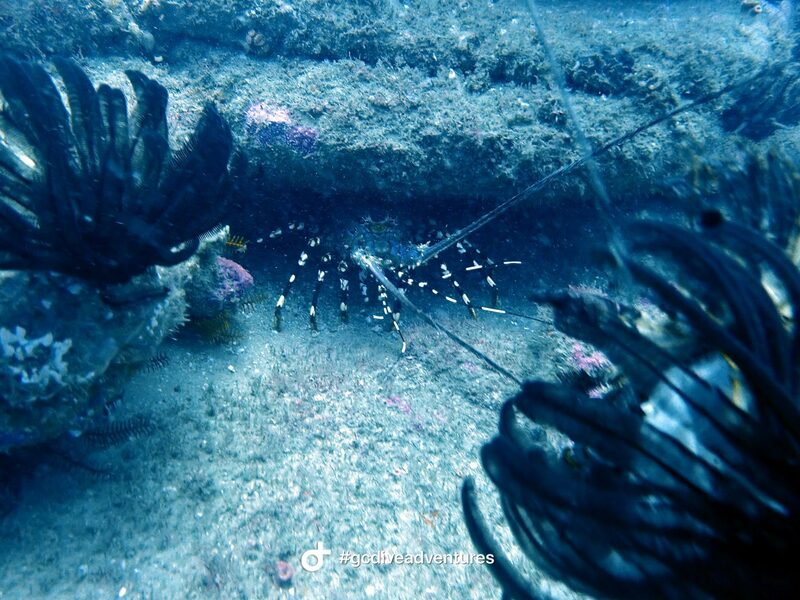 We are therefore excited to present the latest addition to our local offshore dive sites, Campos Reef. We have explored and mapped this reef site over the last 12 months. 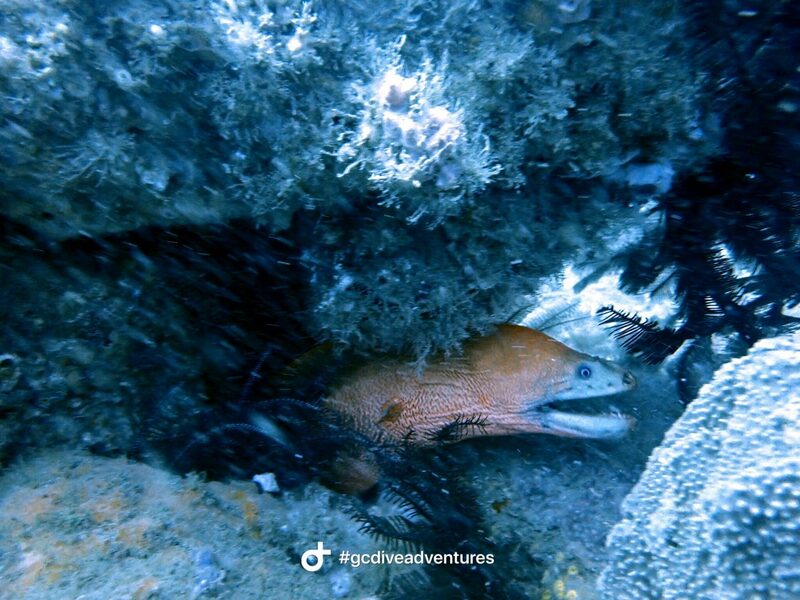 It is a deep dive site with depths ranging from 27m to 30m and is accessible for Advanced Open Water Divers only. 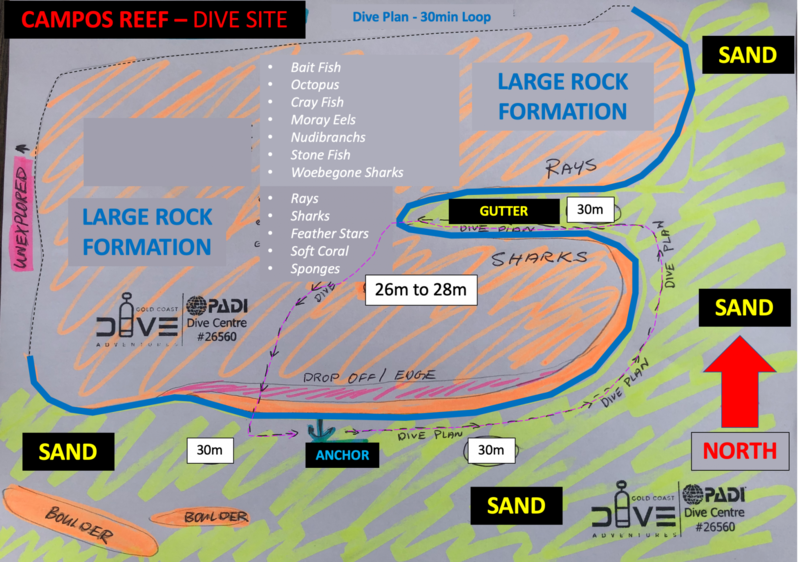 Here is summary of everything you need to know about this new Gold Coast dive site including a dive site map and some photographs. Unlike our shallower reefs such as Migaloo Reef, Campos Reef consists of large continues coffee rock formations, rising up from the bottom up to approximately 2m. As you descend down the anchor line, the reef starts to appears in the deep as a large rock, providing an impression of landing on a different planet. The platelike rock is partially colourful from pink, green, grey to black. The surrounding edge consists of tiered, sharp drop offs, transitioning into the sand. There is a significant gutter, running from the eastern side into the rock formation. The gutter provides a similar environment as we can see at our Grey Nurse Shark hot spots so we are hopeful for some shark encounters during the winter months. We already know that we have plenty of Grey Nurse Sharks around our Gold Coast reefs but we are still looking for that ‘perfect’ spot to encounter them in larger numbers, a spot similar to the gutters at Flat Rock, North Stradbroke Island or Julian Rocks, Byron Bay. The site has usually the best visibility due to its distance from shore. The dirty water line often ends along the 18m to 22m depth lines on days where visibility is poor in general. We hardly experience strong currents however a very mild current can be present on the odd day. The swell would need to climb above 1.5m before a surge would be noticeable during the dive. Overall, the site can be dived whenever surface conditions permit it. Due to the distinct edge of the reef, anchoring is easy, providing a safe point of decent and ascent as well as a reference mark for the dive plan. Refer to our dive site map for details and an approximate site overview. The Gold Coast water visibility varies throughout the year between 5m and 30m. As for all nearby reef dive sites, visibility can be impacted by the outgoing tide of the Gold Coast Seaway, depending on height of tide, wind direction and quality of water leaving the Gold Coast Seaway via the tidal movement. The large gutter provides a great habitat for Grey Nurse Sharks so we can’t wait for the winter months to see whether we are right! We know that the sharks are there. It will just be a matter of time until we track them down :-). Campos Reef is an advanced dive. The bottom depth at high tide is 30m. 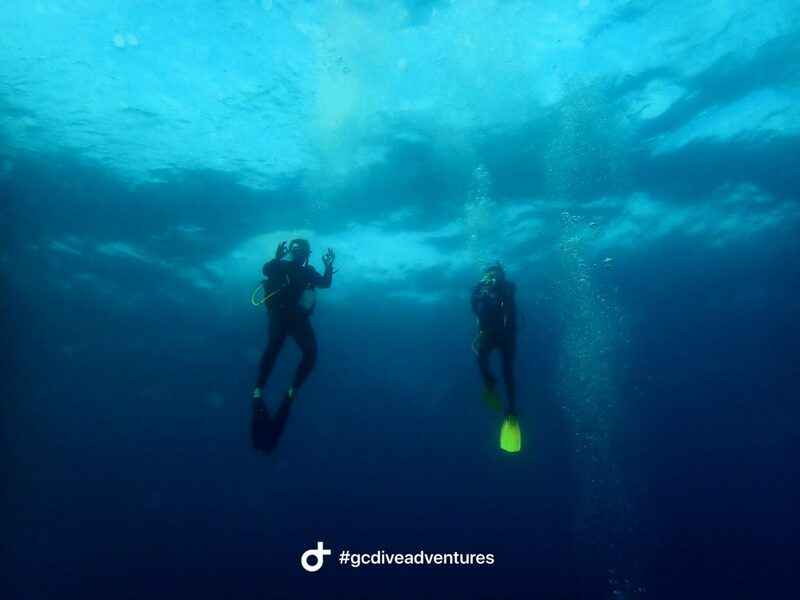 Other than this, the dive itself is reasonably easy as long as you follow the safety protocols for deep diving. 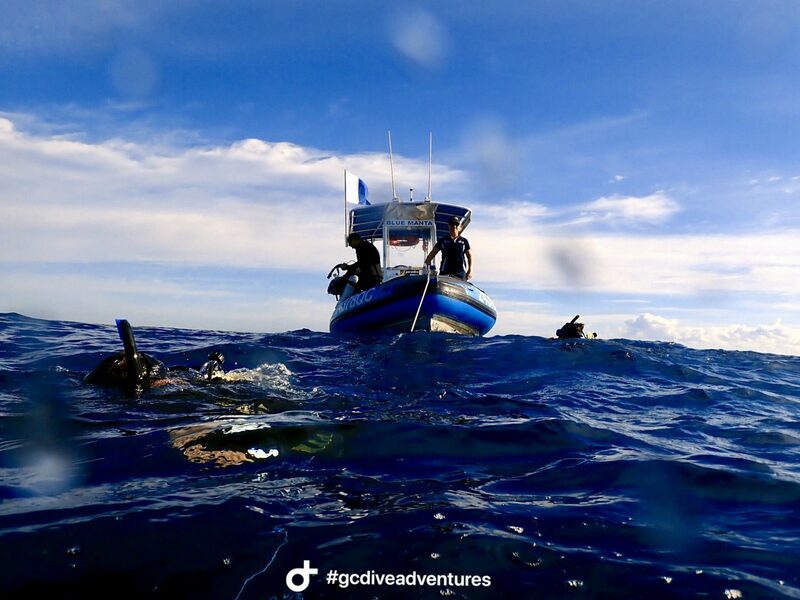 The most challenging part of the dive could be to master the surface conditions but once you manage to decent a couple of meter down the anchor line away from the wind chop and swell, the dive will only become easier from here. We have mapped a small loop that will take approximately 30min to cover, a bottom time that most divers would not exceed at this depth. You certainly need to watch your NDL limit as you will get within the 10min range. We recommend that you are capable of performing a free ascend and blue water safety stop in case air consumption or NDL limits do not allow you to return to the anchor line. The section of the reef that we explored and mapped is easy to navigate with the help of natural navigation and a compass. Our anchor point is on the southern edge of the reef, providing a clean and easy to identify starting point for the dive. The dive will start following the southern edge of the reef, heading in a westerly direction which will lead you into a large gutter, running from west to east. At the end of the gutter, depending on your air consumption, you are able to keep exploring the rock formation heading in an easterly direction before heading south again, using a compass. You will eventually reach the southern edge of the reef again and return to the anchor heading west along the edge of the reef. The dive site map published here is for general information only and should not be relied in. The dive plan may need to be altered depending on wind and swell direction. The reef extents further to the North, beyond of what is shown on our dive site map, however we find this particular dive plan simple in respect to controlling a group of divers on our charter trips. 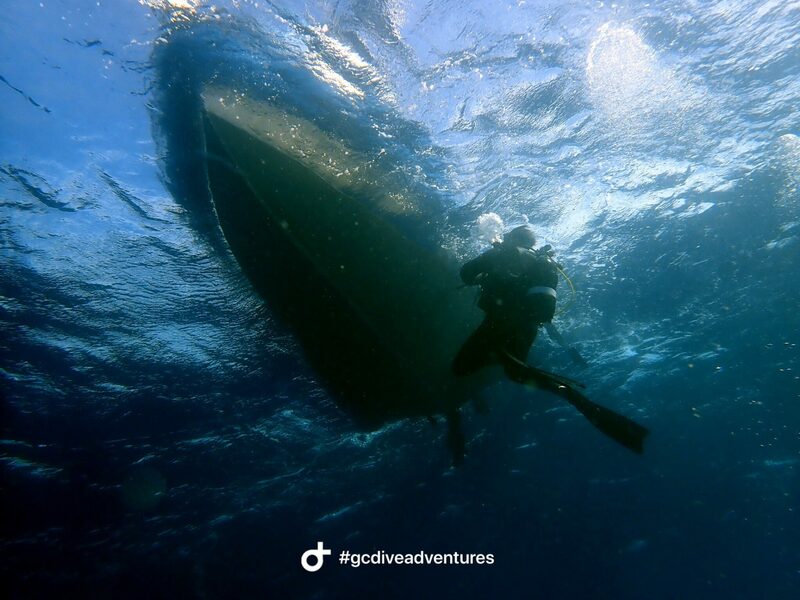 It also allows for ascends away from the anchor line without surfacing too far away from the dive boat. History – Why the name Campos Reef? You may be either disappointed or amused when you hear where the name Campos Reef came from. It all started about 1 year ago when we had one of our exploration dives. We sounded around the area with our vessels structure scan and noticed an interesting looking topography. We started diving the area on occasions and soon realised that this site will eventually become one of our regular dive sites. Since the reef consists of distinct coffee rock formations, and Matt is a big fan of ‘Campos’ Coffee, the nick name Campos Reef was chosen. Sorry, but it is not any more exciting than this :-). 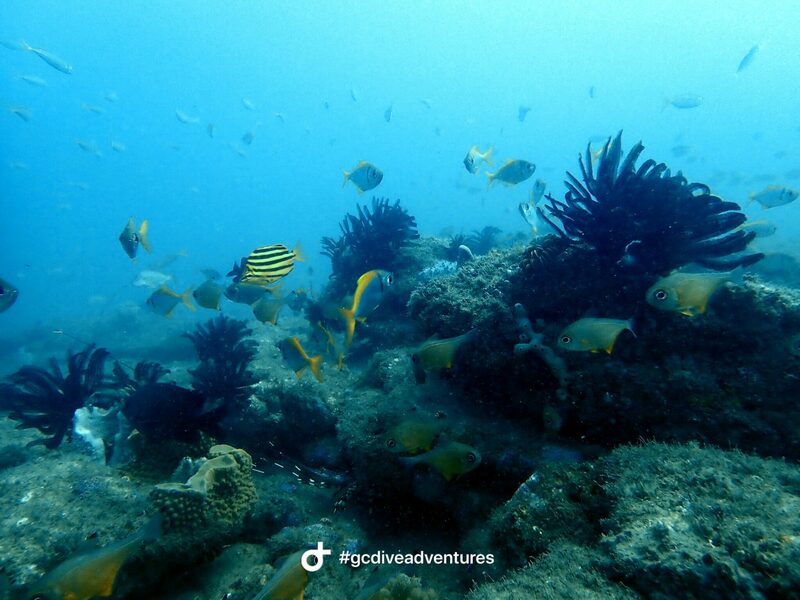 At Gold Coast Dive Adventures, we are tirelessly exploring our natural reefs along the God Coast shoreline with the aim to promote the Gold Coast as a scuba diving destination of choice. Our website has a continuously growing dive site library. Make sure you check it out. If you are interested in diving Campos Reef, check our online calendar and look out for designated Advanced trips on selected days.